Very comfortable and big flat close to the center. Nice host, very helpful. We had a problem with healthy and he helped us fast and very well. 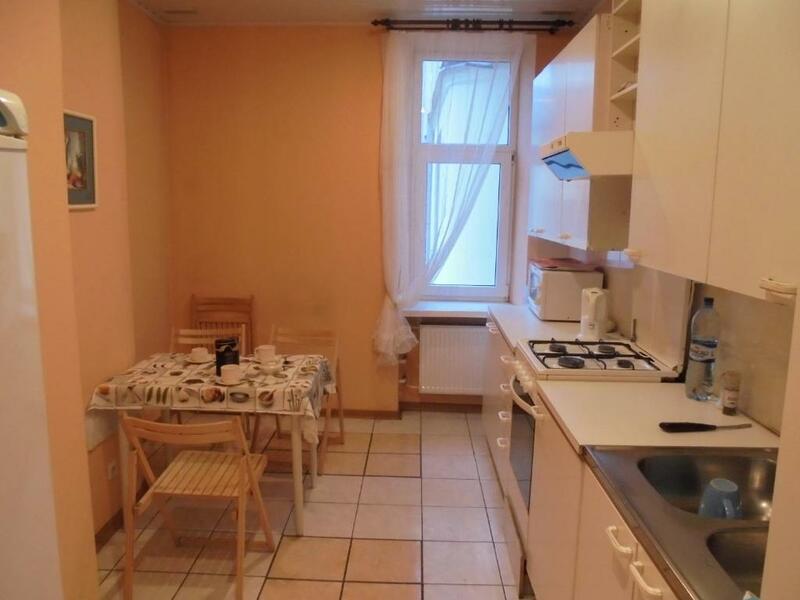 Well-equipped kitchen, nice and safe surroundings. The property host is one of the three points what we liked. Ovaness is always ready to help friendly man. He advised us good guide for fair price. 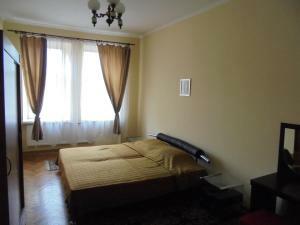 The apartment is located couples of miles to north from old town. It's easy to get to/back old town by walk or by tramway. It wasn't any problems with parking. The host said that when it's holidays, parking along the street is free. It means that if you arrive on working days, you'd have to pay. As i remember this point isn't noted in property describing on website. Mind it before coming to place by car. Apartment is very spacious and had everything we needed, in a quiet/safe area, with secure parking. Furnishings (particularly kitchen) are quite basic, but that was not an issue. Host was very welcoming; accommodated our needs and answered our questions. We thought location was fantastic: away from the crowds, and a leisurely 15-20 minute walk to get to the main sights (through a park or along the water). There's even a tram stop nearby (numbers 5 & 9), which we used once as we had some heavy shopping bags. Large supermarket is 500m away. Our 3 night stay was wonderful. Note: There are 79 steps to the apartment (on 3rd floor) and no lift. We altered our arrival time the day before by email, but this was not received, so suggest contacting host by telephone if anything changes from when the booking is made. 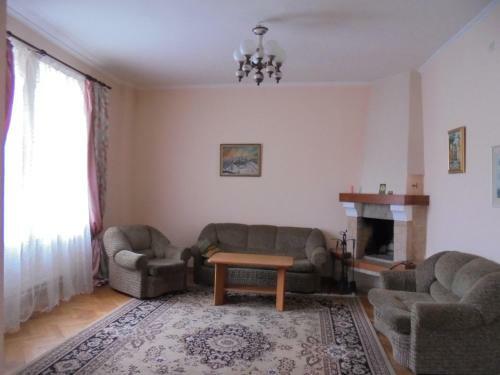 Very large apartment, located 10 minutes walk from the center. Safe private parking. You can stay there a long time without any problems. Спасибо большое хозяину квартиру, очень любезный человек. Всем рекомендую эту квартиру. Отличная Квартира с очень удобным расположением.В квартире есть все необходимое для комфортного проживания.Очень удобные кровати. Хозяин квартиры встретил нас,помог с заказать такси.Общительный и доброжелательный. Будем рекомендовать знакомым.И самивернемся ещё не раз. Очень просторная удобная светлая тёплая квартира, внимательный хозяин. Авто есть, где поставить, бесплатная парковка во дворе. Все достопримечательности в шаговой доступности. Также рядом супермаркет. Приезжали с 2 детьми. Всем все понравилось. Расположение - 10 минут до старого города пешком, чистота - я даже в носках спокойно ходила. Отличный хозяин Аванес - очень приятный заботливый человек, спасибо ему за гостеприимство! Нам была очень важна парковка - хозяин предоставил своё место во дворе, ворота на пультике. Сама квартира огромная и тёплая (даже есть настоящий большой камин с дровами! ), постели мягкие, ортопедические подушки, полный ассортимент посуды для желающих готовить, я уже не говорю о всей бытовой технике. Обязательно приедем ещё! Lock in a great price for Rupniecibas Street Apartment – rated 9.2 by recent guests! 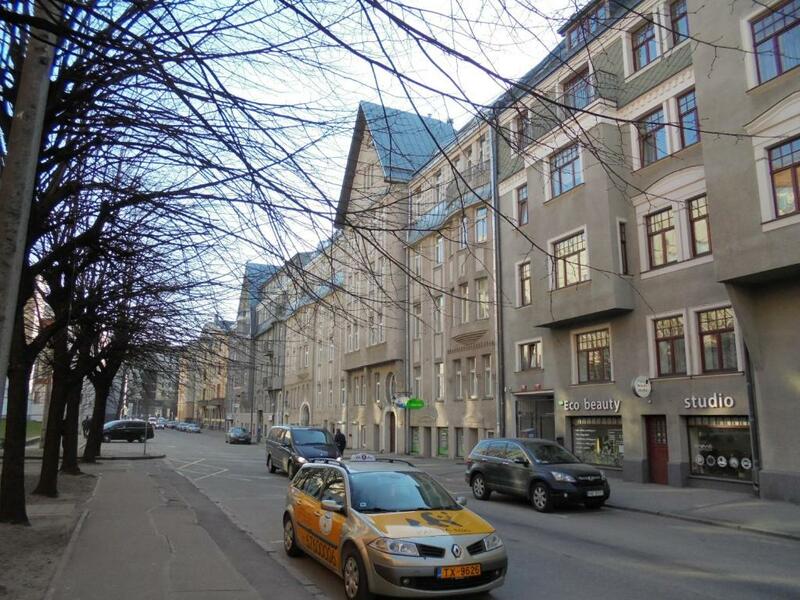 Rupniecibas Street Apartment is a self-catering accommodations located in the very quiet Art Noveau district of Rīga, 0.6 mi from the Old Town and just 900 feet from the World Hat Museum. The property is 1,650 feet from Riga Congress Center and 0.6 mi from from Riga Passenger Ferry Terminal. There is a full kitchen with a microwave and an oven in the apartment. 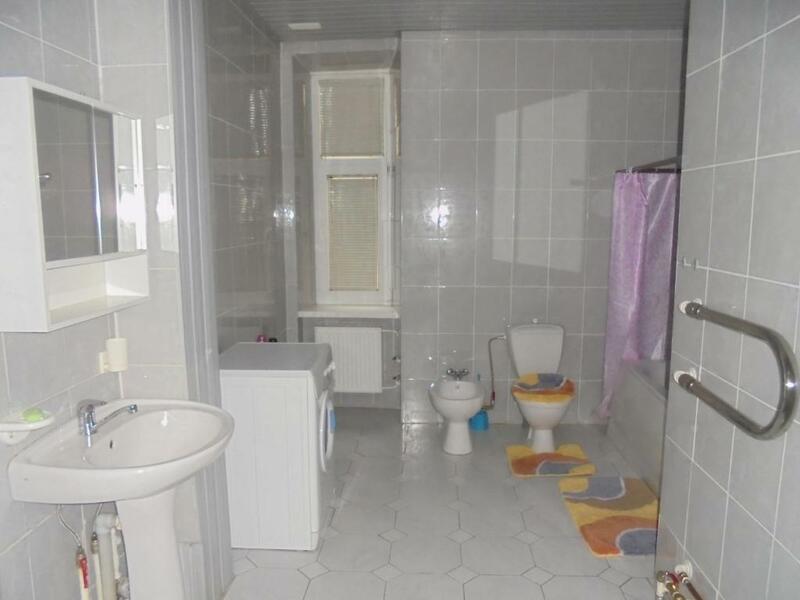 Featuring a bath, private bathroom also comes with a bidet and free toiletries. Extras include a washing machine, a fireplace and a sofa. It is 3,100 feet from Latvian National Art Museum and Riga Castle is 0.8 mi away. Riga Airport is 6 mi from the apartment. Rigas Yacht Center is within 1,500 feet. 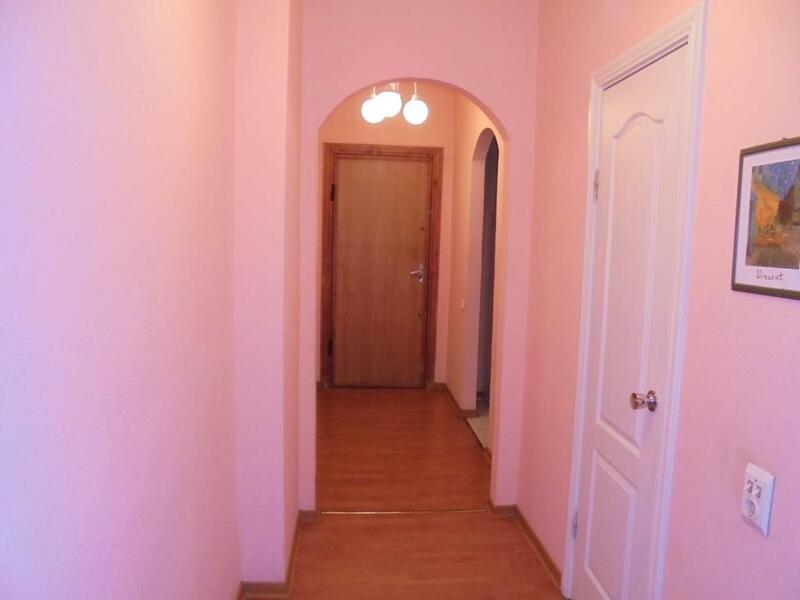 뀐 Located in the real heart of Riga, this property has an excellent location score of 9.5! 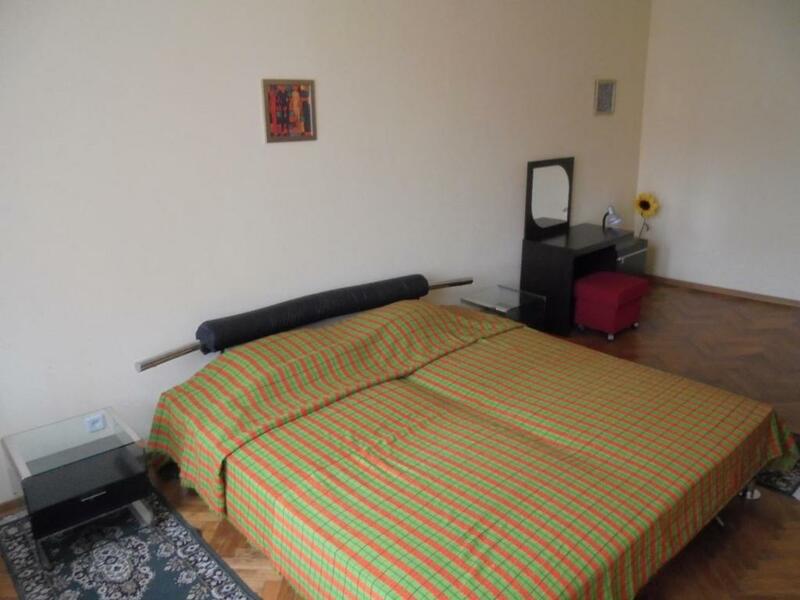 When would you like to stay at Rupniecibas Street Apartment? Наш объект размещён в самом престижном районе Риги, так называемом тихом центре, или по-иному, в районе иностранных посольств. Вокруг разбиты парки, которые тоже имеют свою историю. Гостям очень нравится посидеть вечером у камина. Моё любимое занятие - принимать гостей из разных уголков мира на наши объекты, рассказывать им о нашей стране, в чём-то помочь им, чтоб им было приятно вновь приехать в нашу страну. Наш район примыкает к историческому району зданий, построенных в стиле "Jugend". На расстоянии 400 м - рижский пассажирский морской порт. В 10 минутах ходьбы Старый город - Vecrīga. На соседних улицах популярные музеи. Area Info – This neighborhood is a great choice for travelers interested in restaurants, history and cafes – Check location Excellent location – show map Guests loved walking around the neighborhood! House Rules Rupniecibas Street Apartment takes special requests – add in the next step! Very old house, no elevator, noisy floor, no air conditition. Excellent location, owner is great! Great host, good facilities, and great location. As for apartment itself... Its spacious. What i would get rid of: its too old shabby kitchen furniture. Air ventilation grills are blocked with dust. There are carpets in living room what i didn't dare to step on whith shoes off. I presume they put the carpet in order to hide wood floor what isn't in good condition. The sofas and armchairs deserve to be changed. The ones looked like were maden in Soviet union time.